In around a week’s time, it’ll be International Women’s Day. In honour of the 2015 theme #MakeItHappen, we’ve come up with a diverse list of homegrown female entrepreneurs who faced up to naysayers, disrupted their industries, made courageous career switches mid-stream, set off trends, or in a myriad other ways broke through barriers to do what seemed implausible. Whether they’ve made it big or are just starting out, here are ten women who’ve made it happen in spite of being told “You’re crazy” or “You can’t”. Her Success: Well, it’s been not just three months, but seventeen years, and who hasn’t heard of Awfully Chocolate? What started out as a single cake shop in Katong has now become a globally successful franchise with outlets in Shanghai and Jakarta, just to name a few. Besides Awfully Chocolate, Lyn has also branched out into other F&B establishments, such as the restaurant chain Everything With Fries and Loola. Her Success: Now, amidst the increasing popularity of online dating sites, she runs Asia’s largest lunch dating company, with branches in Singapore, Malaysia, Hong Kong, and most recently, Jakarta. Catering to the hectic lifestyle of young, single professionals, Lunch Actually’s success can be attributed to the boldness of her pioneering vision in a time when dating agencies were taboo. Her Success: Fast forward nearly fifteen years, and Chua’s business is now worth between $200-300 million. 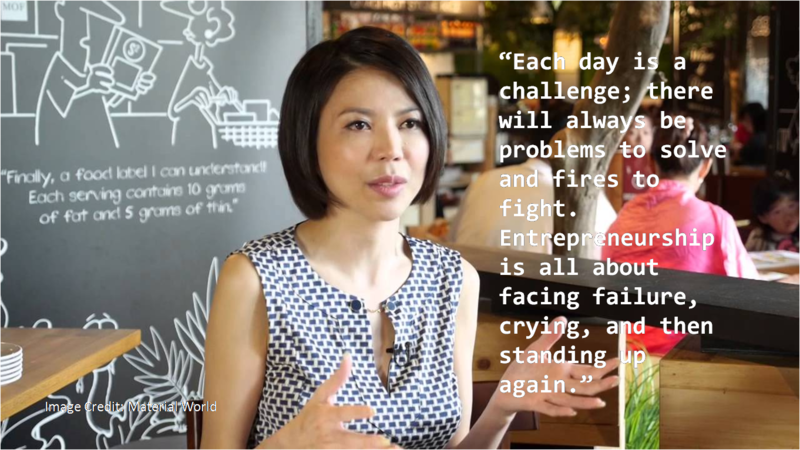 She’s considered one of Singapore’s top entrepreneurs and Lifestyle Queen, and has opened 37 Strip outlets worldwide, including in New York and London, and plans to open 100 more within the next five years. This is particularly ironic since waxing was originally a Western import, serving as a testament to the innovativeness she has brought to women’s grooming. Her Success: 77th Street is now a leading youth street-wear fashion retail chain, comprising thirteen local outlets and a whole shopping mall in Beijing known as 77th Street Plaza. Having been the first fashion retailer to win ‘Most Distinctive Brand’ of the Singapore Promising Brand Award 2004, it seems that her love of the street fashion edginess that Singaporeans were so suspicious of has paid off. 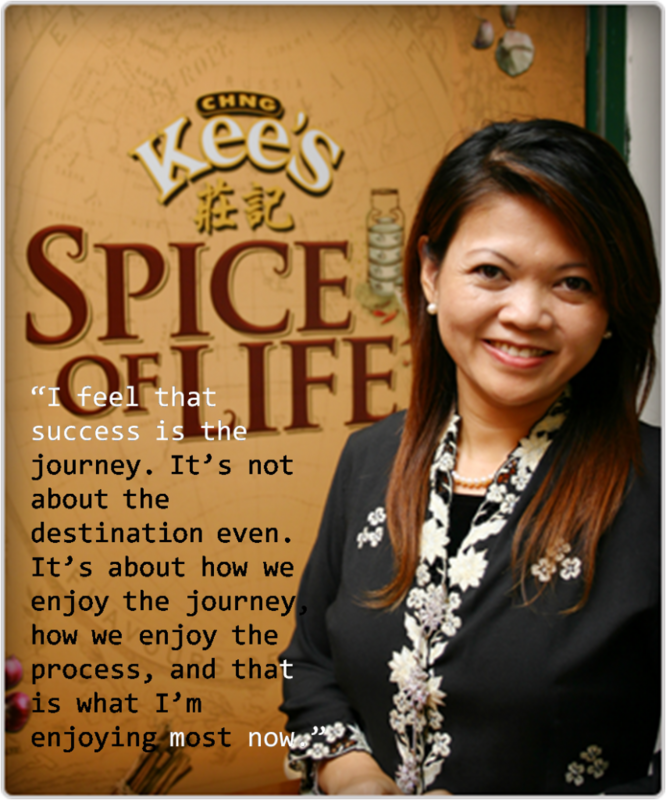 Her Success: All that derision only spurred her on to work harder – today, Sin Hwa Dee Sauce is globally renowned for its high-quality sauces. The business exports to more than 30 countries in the world, and counts the Ritz Carlton and McDonalds’ among its clients. Her Success: Thus far, Singapore’s first blowout salon has defied expectations. Prep has worked with fashion partners such as Kate Spade, displayed their styles at shows like the Oscar de la Renta bridal show, and plans to open its second outlet in March this year. Besides Prep, Chang is also the owner of wedding photography outfit 5degreeshift. Her Success: In an ‘Eat, Pray, Love’-esque journey, however, the inspiration for the restaurant chain Ministry of Food was born. This was after Sim’s travels to Taiwan and Japan, two countries which were known for their delicious desserts. Today, MOF boasts over 50 acclaimed outlets across Singapore, with current plans to expand across Asia. By most accounts, it’s hard to be taken seriously as a female tech entrepreneur in a male-dominated industry; Krystal Choo was often “assumed to be working in media or as someone’s assistant”. (Source: The Business Times) But even the road up to this point was turbulent – at a time when her startup seemed to be falling through, she was also struggling with serious health and relationship issues. Her Success: You know what they say: “When the going gets tough…” After her intelligent predictive pricing app for travellers, ZipTrip, couldn’t get traction, it took Krystal only nine days to pivot to Wander. A novel travel app that connects singles for travelling adventures, Wander got thousands of signups the first week it launched on her self-built landing site. 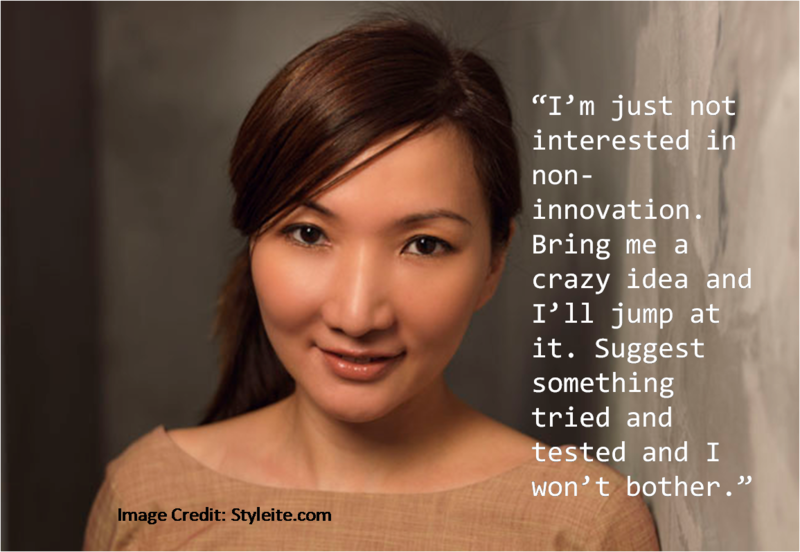 The spirited woman who once taught herself to code at age 12 is now a two-time TEDx speaker passionate about empowering others about ideas close to her heart – innovation, effective marketing, and all things digital. 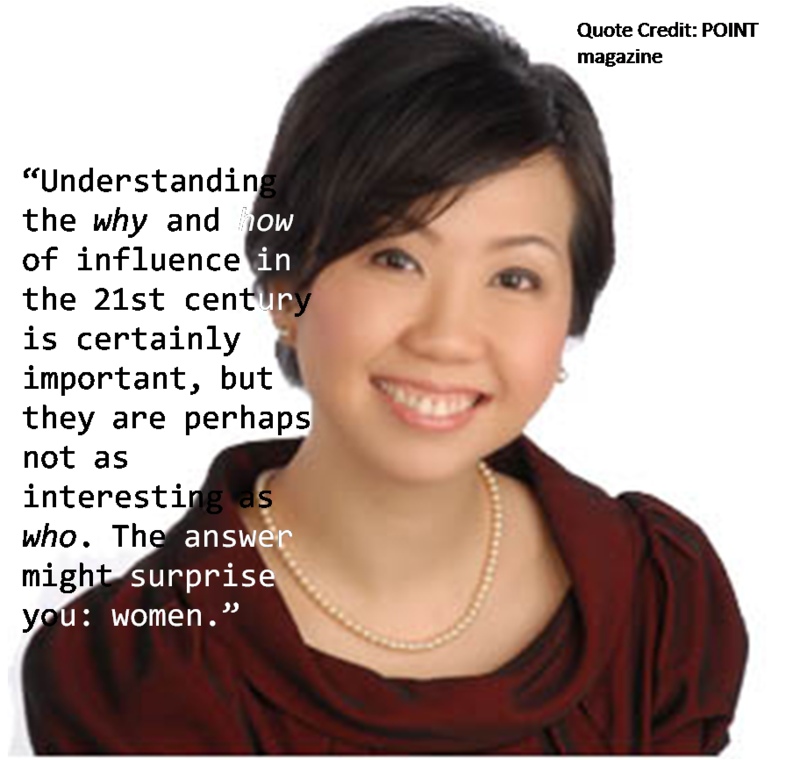 Her Success: Having made yet another career switch to the sphere of leadership development, she went on to found Influence Solutions, becoming known as one of Singapore’s most influential communication experts. 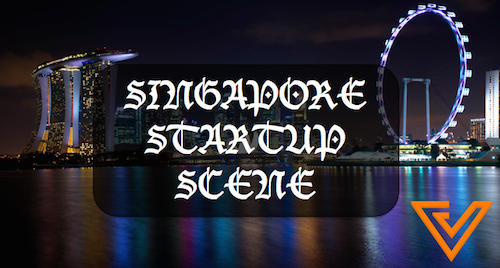 The company has worked with big-name clients such as Credit Suisse and Standard Chartered. What’s truly inspiring is that this business is itself a form of giving back – her company works with organisations to enhance their productivity and with professionals to nurture their leadership capabilities.